​Signing up for a membership is easy at Basic Fitness! For your convenience we offer online enrollment option. Simply click on the link to the right to complete your registration online. 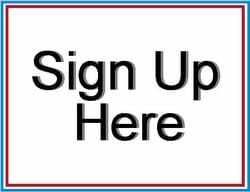 Don’t want to sign up online? No problem! Stop in and let us get you enrolled in our membership program and take a tour of the facility. Basic Fitness has affordable membership levels which are billed to a bank account, debit or credit card monthly. *Taxes will be added at the time of set up. Corporation Discounts Available upon request.